After a year of experimenting with the latest beauty products on the market, these reigned as our champions and beauty editor’s pick for 2016 cosmetics that every woman should have with them at all times. Read below to learn how you can get your hands on these highly sought after beauty bag must-haves! Jane Iredale Hydration Spray: Refreshing and invigorating, this natural and organic hydration spray currently comes in 5 different vegan and cruelty-free options that soothe, calm, and improve the overall health of your skin. Each of the 5 pleasantly aromatic hydration sprays are uniquely catered to your individual needs. This hydration spray is great to have on hand to use throughout the day to maintain a natural and healthy glow for all skin types – including dry and oily skin. O2M Breathable Nail Enamel: In addition to having an endless color charged array of hues to choose from, this nail polish is created using a highly advanced polymer that allows oxygen and water to pass through – sustaining the health and natural beauty of the nail. O2M Breathable Nail Enamel is dries quickly and applies more seamlessly when used after O2M Breathable Nail Base. For a longer wear of the nail, apply O2M Breathable Top Coat as a last step. Horst Kirchberger Bronzing Powder Diamond: Bronzing the skin is only one value this product serves. It also performs as a luxurious hydrating powder formulated with hyaluronic acid – a powerful cosmeceutical ingredient that protects the skin from environmental factors and prevents early signs of aging. Apply to the entire face and neck using the Horst Kirchberger powder brush over base makeup or directly onto the skin for a super natural sun-kissed look. As an added benefit, Bronzing Powder Diamond is also free of parabens. HydroPeptide Eye Authority: An award-winning eye serum with 13 multi-performance peptides that works after first application – rapidly reducing the appearance of dark circles, puffiness, and fine lines. This antioxidant-rich 0.5 oz. compact tube is easily transportable and recommended to be used AM and PM for optimal results – use as needed throughout the day. Currently, HydroPeptide is the leader in luxury-based peptide skincare. Colleen Rothschild Mandelic Acid Radiance Serum: Rich in peptides and antioxidants, this compact 1 oz. serum can be used daily to reduce the signs of aging, improve skin texture, treat acne, and even out skin tone by promoting cellular turnover via the product’s active ingredient – an Alpha Hydroxy Acid (AHA) derived from almonds. This serum glides onto the face seamlessly and has a pleasant botanical fragrance. Amarte Wonder Cream: A miracle moisturizer with ingredients that actively help to prevent collagen breakdown, diminish wrinkles, and form an anti-aging shield against environmental damage – including nanocapsulated 1% retinol, BioPeptide SC, and Schizophyllan (a highly purified extract of cultivated mushroom). This bioorganic product is to be used on the face and neck throughout the day as needed. Inglot Freedom System Palette: This is a beautifully packaged new beauty essential. For an every day beauty look, one could have 3 high quality eyeshadows, 1 brow color, 2 cream concealers, 3 lipstick shades, and 1 lip gloss – all encompassed in one uniform “do-it-all” compact palette. With less mess and less space in contrast to carrying numerous separate products, there is nothing not to love about the Freedom System. OCC Lip Tar & Lip Pencil: OCC is most recognized for their infamous Lip Tar – a highly pigmented liquid lipstick available in over 40 different matte and metallic colors. To create the perfect long-lasting lip, apply an OCC lip pencil in your chosen color before applying Lip Tar with a quality lip brush. 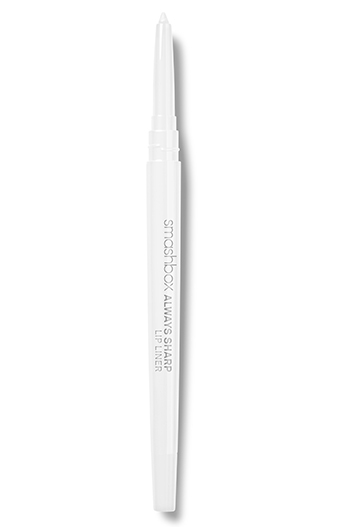 Smashbox Always Sharp Clear Lip Liner – not only does this product self-sharpen every time the cap is twisted off, but also essentially allows the wearer to keep and/or change their lip color without having to change the lip pencil color. Smashbox Always Sharp Clear Lip Liner allows whatever color of lipstick you wear to maintain its vibrancy and pop in addition to inhibiting the lipstick from bleeding – keeping the color right where you want it.